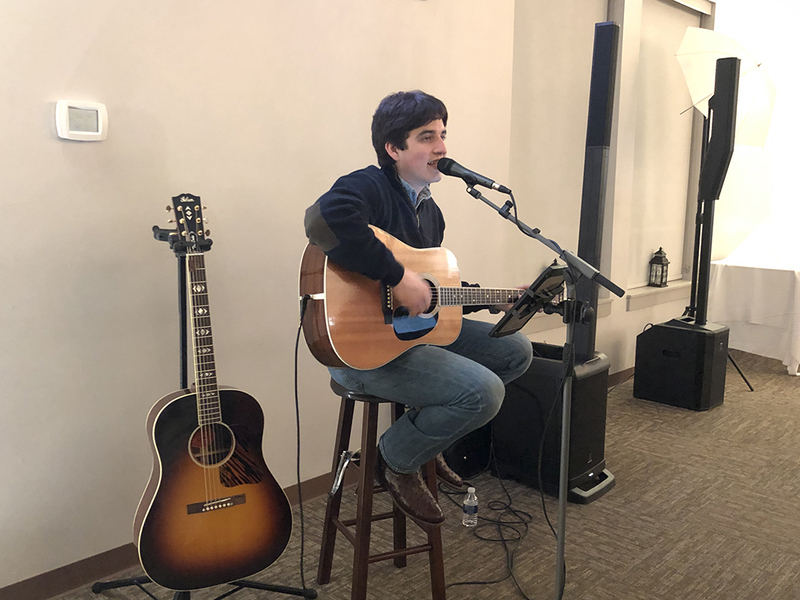 Luke Kite performs live music at the banquet. 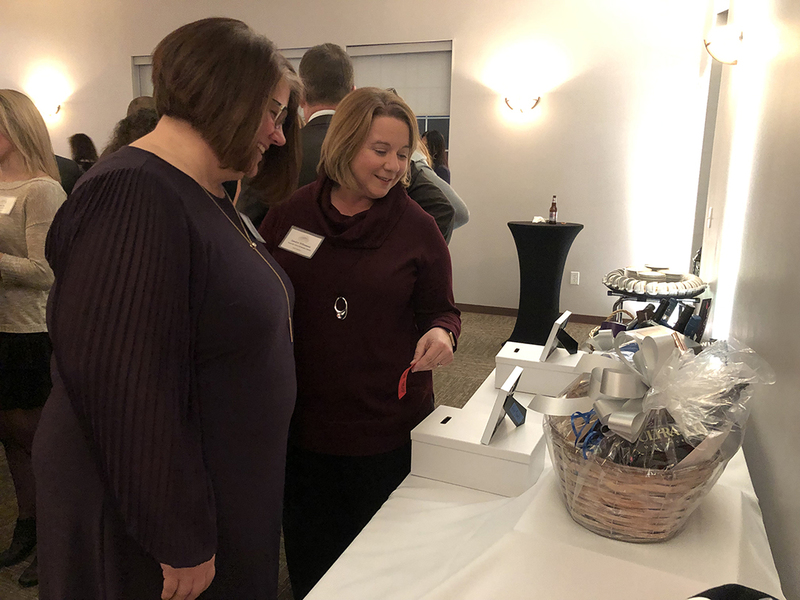 Tracey Vermillion, left, and Jamalyn Williamson check out auction items at the event. Zionsville Police Dept. 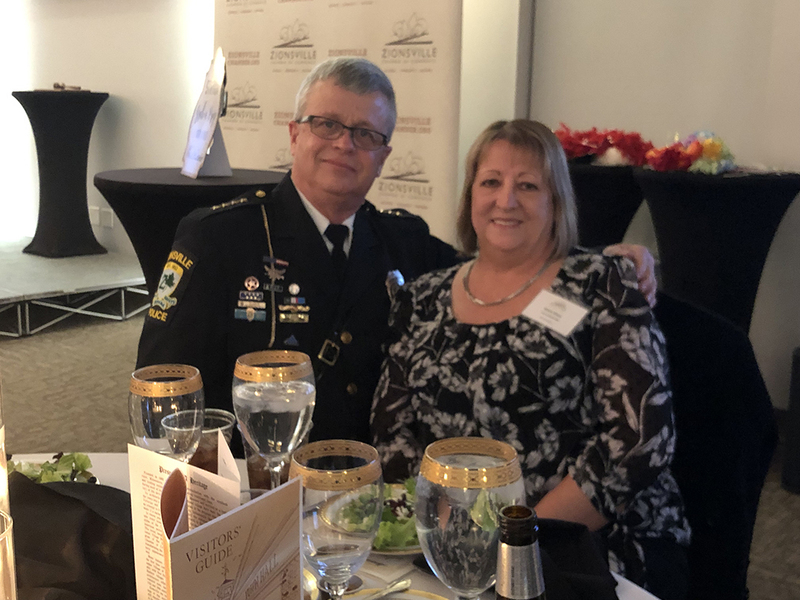 Chief Robert Knox attends the event with his wife, Karen.